“When Star received is powers on his first birthday, he became the most powerful pegasus in Anok. But many were afraid to follow the yearling colt and felt safer remaining with their over-stallions. The rest unified with Star and formed River Herd. Now his new herd is homeless and menaced by predators, causing Star to question his ability to keep them safe. And then the Blue Tongue plague appears. . . Mountain Herd is outgrowing its territory . . . Rockwing, hatches a plan to kidnap Morningleaf and . . . Nightwing the Destroyer is alive, and his rise to power threatens all of Anok. Wow! Alvarez has outdone herself. Stormbound is a riveting, page-turner, just as Starfire—her debut—was before it, only Stormbound ratchets up the stakes to keep readers spell-bound. Star has survived his first birthday and received his star power, making him not only immortal, but the most powerful pegasus in all of Anok . . . as long as 400-year-old Nightwing the Destroyer remains in hibernation. He does not. Star reaching his first birthday awakens the beast, who must now destroy Star to remain the most powerful, and most dreaded, pegasus in all of Anok. Every inhabitant of Anok fears Nightwing, and with good reason. The great majority of Stormbound is about gathering the herds to unite against Nightwing the Destroyer and survive, but not all are on board, mainly out of a fear of Star. Some, like Rightwing, are desperate to gain new land. His herd has outgrown its land and is now slowly starving to death. Fearing a rebuff by Star, Rightwing kidnaps Morningleaf as a bargaining chip. The Blue Tongue plague is wiping out Snow Herd, whose over-stallion fears Star more than the plague. All of these plots join to make a unified story that will keep the reader glued to the pages and anguished when Stormbound ends. Alvarez uses one of the oldest writing techniques to keep readers on edge while waiting for her final installment: overwhelming suspense. The big battle between Nightwing the Destroyer (the original black foal), and Star (the new black foal), begins with a mutual sizing-up, and then . 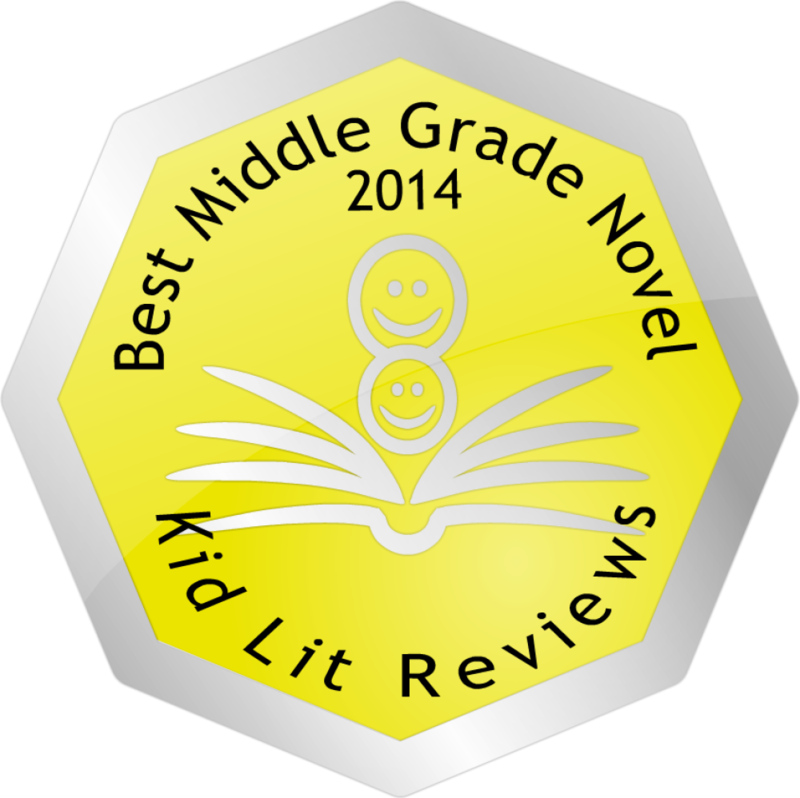 . . the final book of this trilogy cannot be released fast enough. It is the perfect ending to a most captivating and spellbound story that, dare I say, is as thrilling a read as Harry Potter. There are two series out this year that I highly recommend to fans of action-adventure stories. The Guardian Herd is one. The other I’ll write about next week. 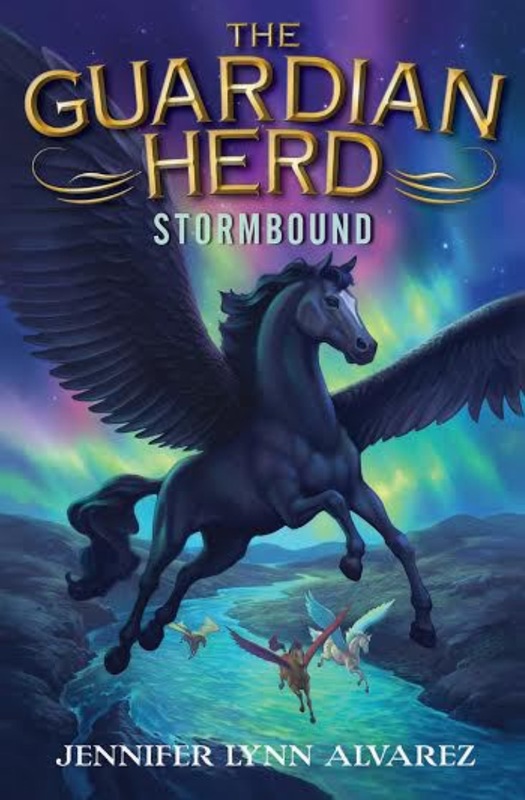 That gives you enough time to grab The Guardian Herd #2: Stormbound, and, if new to this series, The Guardian Herd #1: Starfire, and enjoy this absolutely wonderful, imaginative, and addictive series. Stormbound can stand alone, but why miss the dramatic beginning to Star and the herds of Anok? And just how, if at all, does the “Territory of the Landwalkers” figure into Star’s story? Wherever you begin your journey in the land of Anok, Star, his friends, and enemies will stick with you for a very long time. THE GUARDIAN HERD #2: STORMBOUND. Text copyright © 2015 by Jennifer Lynn Alvarez. Interior art copyright © by David McClellan. Published by Harper, an imprint of HarperCollins Publishers, New York, NY. Purchase The Guardian Herd #2: Stormbound at Amazon —Book Depository—HarperCollins. Learn more about The Guardian Herd #2: Stormbound HERE. Harper and HarperCollins Children’s Books are imprints of HarperCollins Publishing. 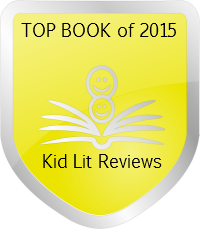 Full Disclosure: The Guardian Herd #2: Stormbound, by Jennifer Lynn Alvarez, and received from Harper (an imprint of HarperCollins Publishing), is in exchange NOT for a positive review, but for an HONEST review The opinions expressed belong to Kid Lit Reviews, and no one else. This is disclosed in accordance with The Federal Trade Commission 16CFR, Part 255: Guidelines Concerning the Use of Endorsements and Testimonials in Advertising. Meant to let you know I loved Stormbound! It was excellent and I enjoyed every moment of this story. How long do I have to wait for Landfall? Even though I don’t review distopian stories on my website (don’t fit my theme), it doesn’t mean I don’t enjoy reading them. Also reread Starfire, so I could remember the action. I will given them to my great granddaughter when she’s old enough. She just turned 9 yrs. I do agree with you, she is a great author. Sounds like a 6 star rating to me. I mean…overwhelming suspense and as thrilling as Harry Potter! Super review, Sue. Great review! I didn’t realize the second book will be released tomorrow and a third to follow that. I loved the first book! Glad to know the sequel is even better. It was released today, so I ordered it. Would love to know what you think about Stormbound. Ms. Alvarez, currently on a book tour, said she contracted for an unanticipated FOURTH installment about Star and the herds of Anok. Good for her (and us). I’m taking it with me on vacation. Since Starfire is shorter, I’m going to read it again to remind myself of the details. I do that. I read too many books, as do you! Will let you know. Glad to know there are two more books. Patricia (I hope that is okay to address you as), have a wonderful, relaxing vacation.